This morning’s seasonally adjusted 234K new claims, down 19K from the previous week’s 253K, was worse than the Investing.com forecast of 221K. Here is a close look at the data over the decade (with a callout for the past year), which gives a clearer sense of the overall trend in relation to the last recession. As we can see, there’s a good bit of volatility(NYSEARCA:VXXB) in this indicator, which is why the 4-week moving average (the highlighted number) is a more useful number than the weekly data. Here is the complete data series. 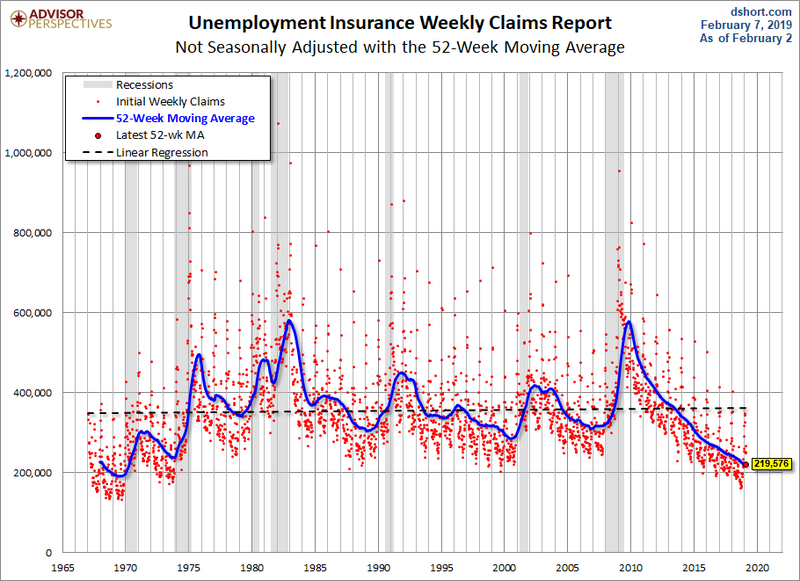 The headline Unemployment Insurance data is seasonally adjusted. What does the non-seasonally adjusted data look like? 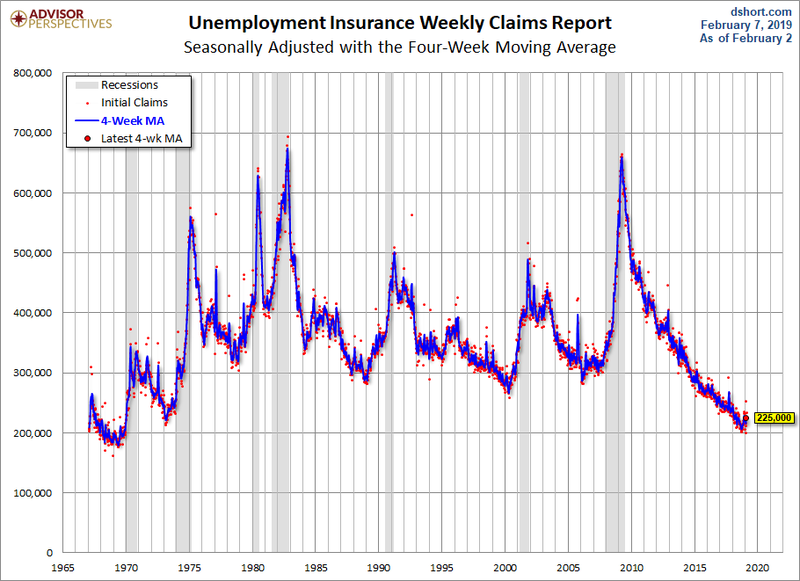 See the chart below, which clearly shows the extreme volatility of the non-adjusted data (the red dots). The 4-week MA gives an indication of the recurring pattern of seasonal change (note, for example, those regular January spikes). 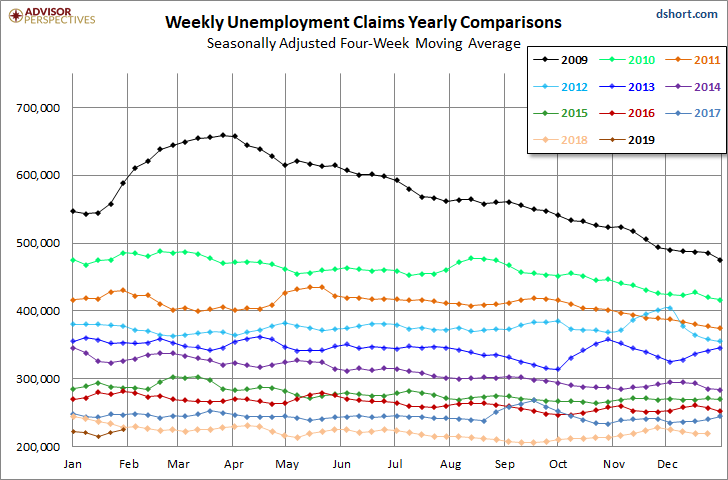 Because of the extreme volatility of the non-adjusted weekly data, we can add a 52-week moving average to give a better sense of the secular trends. 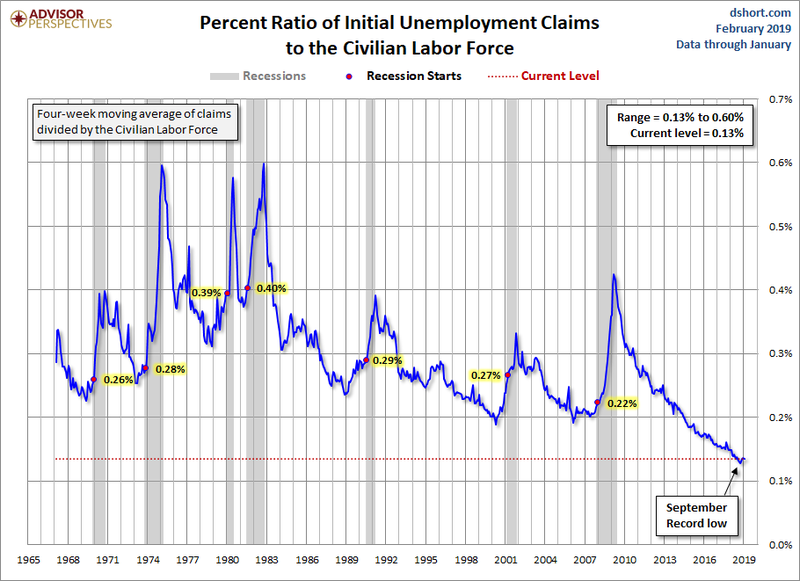 The chart below also has a linear regression through the data. We can see that this metric continues to fall below the long-term trend stretching back to 1968. Here is a calendar-year overlay since 2009 using the 4-week moving average. The purpose is to compare the annual slopes since the peak in the spring of 2009, near the end of the Great Recession. 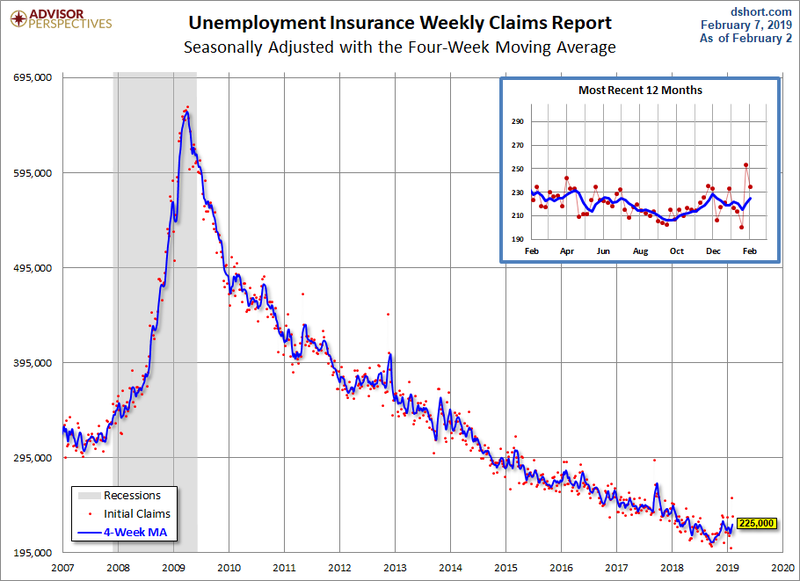 For an analysis of unemployment claims as a percent of the labor force, see regularly updated piece The Civilian Labor Force, Unemployment Claims and the Business Cycle. Here is a snapshot from that analysis.